Italiensk Kulturforening i Stavanger - Filmkveld: "Vallanzasca – Angels of Evil"
Filmkveld: "Vallanzasca – Angels of Evil"
Angel of Evil (Italian: Vallanzasca – Gli angeli del male, also known as Vallanzasca - Angels of Evil) is a 2010 crime film directed by Michele Placido. It is based on the biography "Il fiore del male. Bandito a Milano" of bank robber Renato Vallanzasca, by Italian journalist Carlo Bonini. Director Michele Placido and actor Kim Rossi Stuart team up to tell the tale of notorious Italian outlaw Renato Vallanzasca, whose penchant for bold crimes, daring prison breaks, and extravagant showmanship transformed him into an underworld celebrity in the 1970s. Vallanzasca was just nine years old when he and a group of mischievous friends snuck into a local circus to free a tiger, but that fateful day marked the beginning of a spectacular criminal career. Subsequently sent to a juvenile detention facility, Vallanzasca soon rounded up a gang comprised of familiar deviants upon his release, and quickly rose through the ranks of Italy's criminal elite. With the stunning Consuelo (Valeria Solarino) by Vallanzasca's side, not even San Vittore can hold the slippery desperado. And though Vallanzasca's gang would live the high life for a while, the impulsive leader would ultimately seal his own fate when he ruthlessly killed two policemen in a Dalmine tool booth. 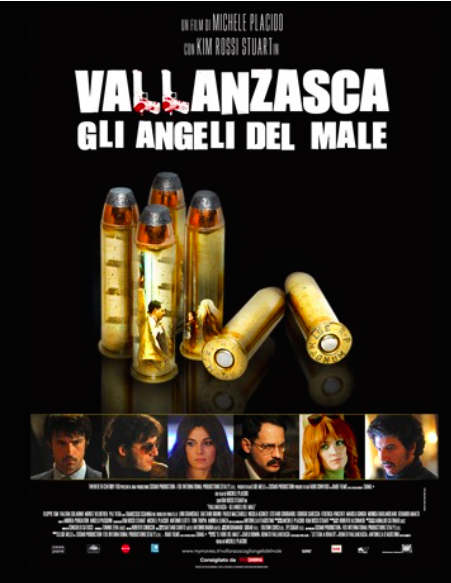 Having made a sworn enemy out of rival gangster Francis Turatello (Francesco Scianna), Vallanzasca strives to end the rivalry after being incarcerated in Rebibbia Prison. In and out of prison in the decades that followed, Vallanzasca found his life as a fugitive drawing to a close after reconnecting with his old friend Antonella D'Agostino (Paz Vega), whom he would later wed in a civil ceremony.